“Kliment’s days” is a traditional initiative in which our school organizes local and regional competitions. The first competition was in mathematics and it took place on 23rd November 2004 for the twentieth school anniversary. The students are given the opportunity to work in teams and to present their decisions. This approach is being accepted very successfully by the young mathematicians and they are very happy to take part in it every single year. The main sponsors are Rottary club – Troyan and the cable television “Optisprint” – Troyan. The competition is held under the methodical guidance of the Regional Inspectorate in Education – Lovech. Gradually the initiative was widen with a competition in IT. 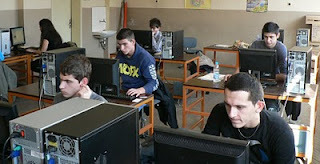 In 2008 within the framework of the project “Kliment’s days – 2008” competitions in Bulgarian, English and basketball match between students and teachers were held. The team competition in public speaking and in essay writing have become a tradition. 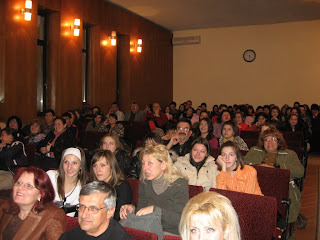 The Women Union “Bulgarka” and the newspaper “Troyan21” werealso attracted as sponsors.